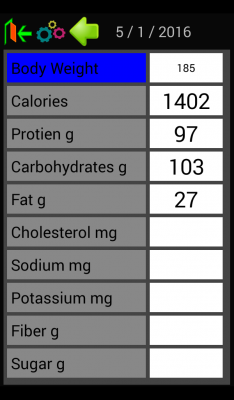 Nutrition Tracker is a simple no thrills app to keep track of all your daily nutrients. Log your daily body weight. Includes 49 of the basic nutrients everybody looks for on nutrition labels including calories, fat, sugars, carbs, fiber, and protein. Create up to 20 of your own custom nutrients. 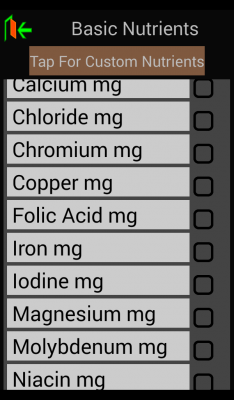 Keep things simple by choosing which nutrients you want displayed. 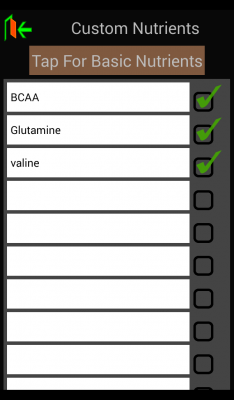 Download Nutrition Tracker from these app stores today.